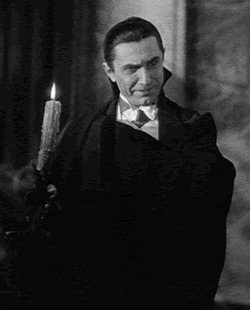 Visit http://dracula-feed.blogspot.com/ for the retelling of Bram Stoker's Dracula in a blog diary format as it was originally written! This blog diary started May 3rd, 2009 so if you start now you won't have a lot to catch up on and can keep up with the story as it unfolds online. Bram Stoker did a lot of work to make sure the timelines fit correctly and it all made sense, so this is a great way to see how he had originally portrayed the novel and get the overall feel he truly wanted you to see! "Experience Bram Stoker's Dracula in a new way -- in real time. Dracula is an epistolary novel (a novel written as a series of letters or diary entries,) and this blog will publish each diary entry on the day that it was written by the narrator so that the audience may experience the drama as the characters would have."